Description: Recommended enhancement: Fighter. 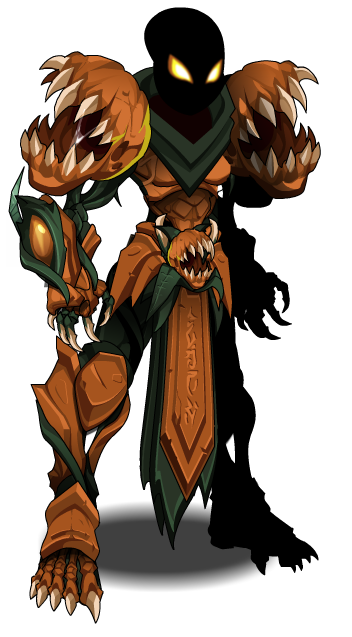 Pumpkin lords are evil magical pumpkins that are a lot more menacing than the name suggests. Special Effects: Pumpkin Lords gain mana from all hits landed in combat, and especially on crits. The amount depends on the damage relative to *their own* HP total. Description: A strong attack known only to disciplined fighters. Damage dealt is based on weapon damage. Description: You use a pumpkin vine as a whip which deals high damage. Cannot miss but cannot crit. Note: Deals 150% AA damage. Description: You grab your opponent with your vines and siphon life and energy from them! You gain a 20% haste boost and a reasonable HoT (600%) for 8 seconds. If ready to sprout is applied you take 20% less damage. Ready to sprout is absorbed. Description: You sow seeds of despair and plant them in your foes. Applied drained of strength which makes your opponent take 15% more damage and deal 15% less for 10 seconds. Also applies ready to sprout, which has extra effects on the other moves. Description: You grow a specialised explosive pumpkin that detonate in a ball of glorious flames dealing massive damage to your target at the cost of 10% of your own HP. If ready to sprout is applied, a DoT is also applied. Ready to sprout is absorbed. This skill is guaranteed to crit. 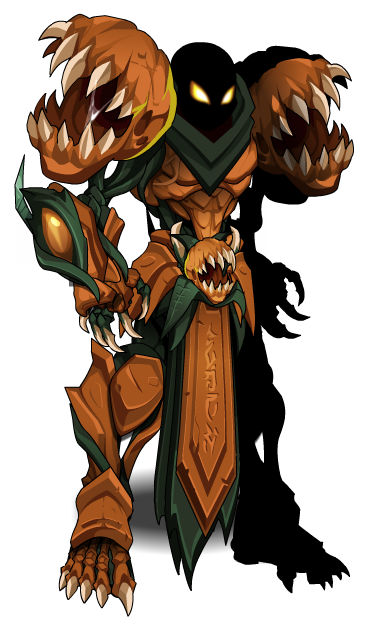 This class has the same skills as Evolved Pumpkin Lord (Non-Legend). Thanks to Apus and Vasuri.